Beautifully crafted pools to suit your budget and needs. We work all over Aotearoa. 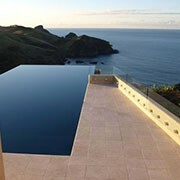 Our custom Stonecraft swimming pools and spa pools feature the very best of Aotearoa design and workmanship. The team at Stonecraft NZ are innovative, pay close attention to detail and are committed to excellence in both residential and commercial construction. We do the “hard stuff well”. Concreting jobs such as floors, driveways, decorative work, cutting, grinding and drilling – we do it all! The team at Stonecraft NZ has completed some of the most eye-catching work in New Zealand. Stonecraft NZ has developed out of the need to provide high-quality service of home and swimming pool construction to customers nation-wide. That commitment has led to Stonecraft NZ rising to the top in swimming pool, concrete and masonry construction. 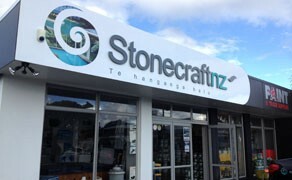 We have had the pleasure of working with Stonecraft NZ since 2007. The company employs a range of skilled tradespersons, which ensures quality work. They are well managed and operate as a well honed team. We have experienced their work on insitu concrete, concrete block, plaster work, swimming pools, pool equipment, large stone walls and fireplaces. Their work is programmed in an organised fashion; there is always full communication and their word can be relied upon.